You might encounter the above "Alcatel Single RNDIS Interface" device software windows while using your USB port to connect to some external devices, such as smart phones or SIC boards. If the above does not work, please download the rar file alcatel_rndis.rar, unzip them to a local temporary folder. Repeat the above first two steps and then search for the driver software in this location, browse to the temporary folder where you have extracted the driver file. You should see Alcatel RNDIS driver available for install. 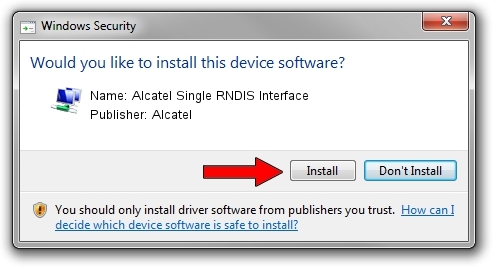 Download Alcatel Single RNDIS Interface Driver here.